My mom used to make this for us when I was little, and it is one thing I remember from a very young age. Actually, it’s one of the first things I remember her making us. 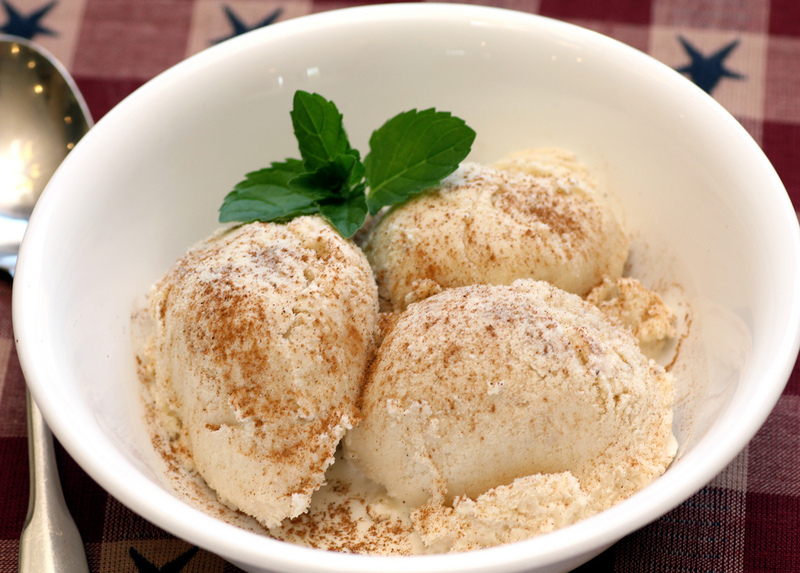 This homemade ice cream is like no ice cream I’ve ever had. Nothing else even comes close!! It’s so creamy and delectable. It is just simply amazing! If you don’t like cinnamon, or you are just looking for vanilla, then take out the cinnamon and up the vanilla extract from 1 1/2 teaspoon vanilla to 1 tablespoon vanilla. Enjoy! Scald the half and half and ground cinnamon in a sauce pan on medium heat, do not boil. In a bowl, whip the egg and sugar until creamy and pale yellow. Add half and half, beat 1 more minute. Stir in whipping cream, vanilla, and salt. Pour in ice cream container and freeze.